Love Always. 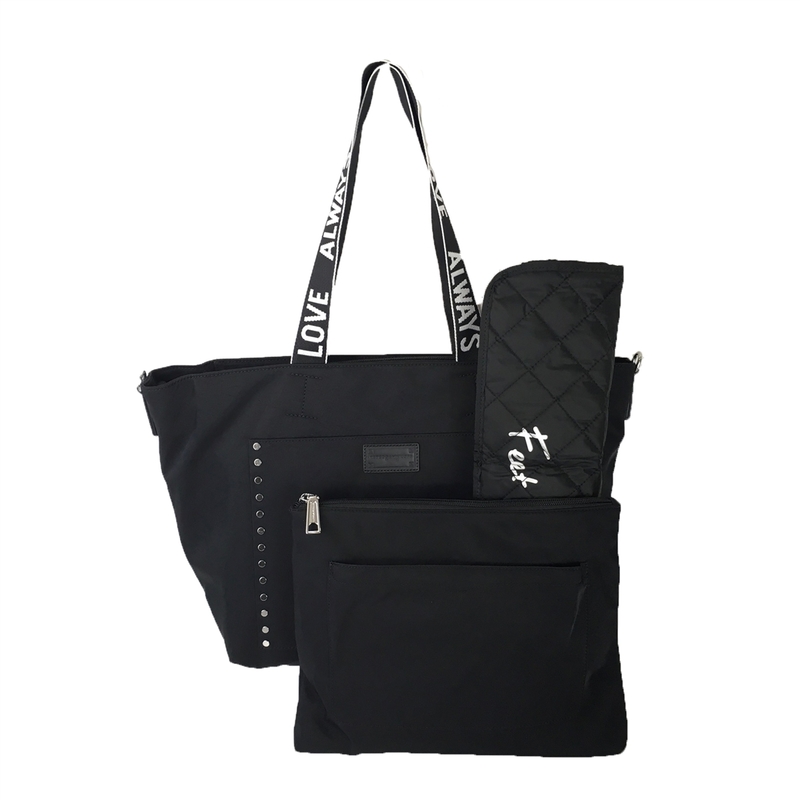 This durable wipe-able nylon tote holds all you and baby will need for a day out. A removable diaper clutch with changing pad, convenient stroller straps and plenty of room inside and pockets makes this the go to baby bag. By Rebecca Minkoff. 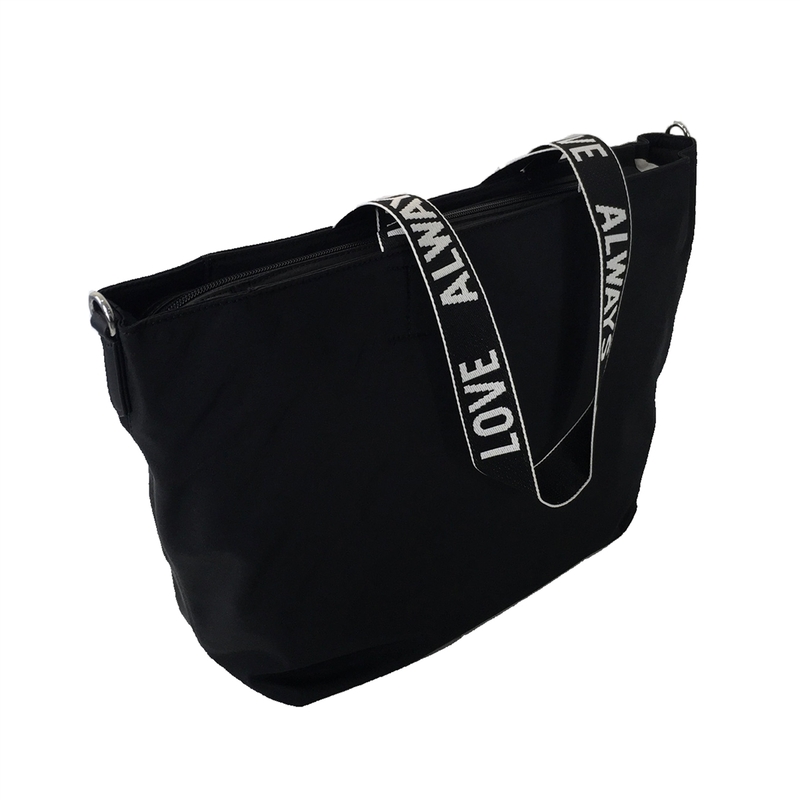 Baby tote in nylon with "love always" webbed shoulder straps. 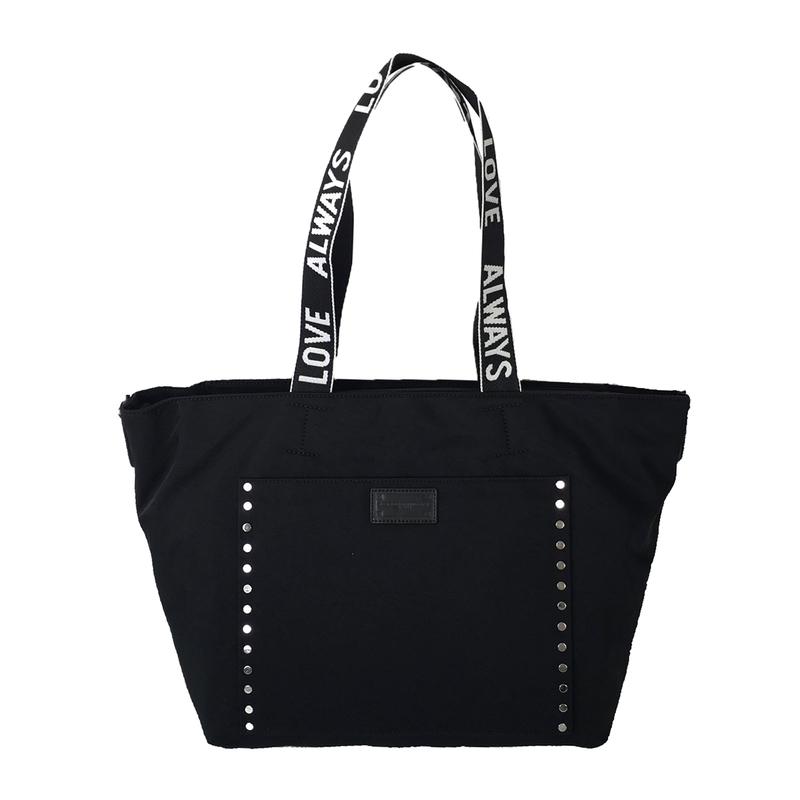 Front slip pocket with stud detail. Embossed logo plaque. 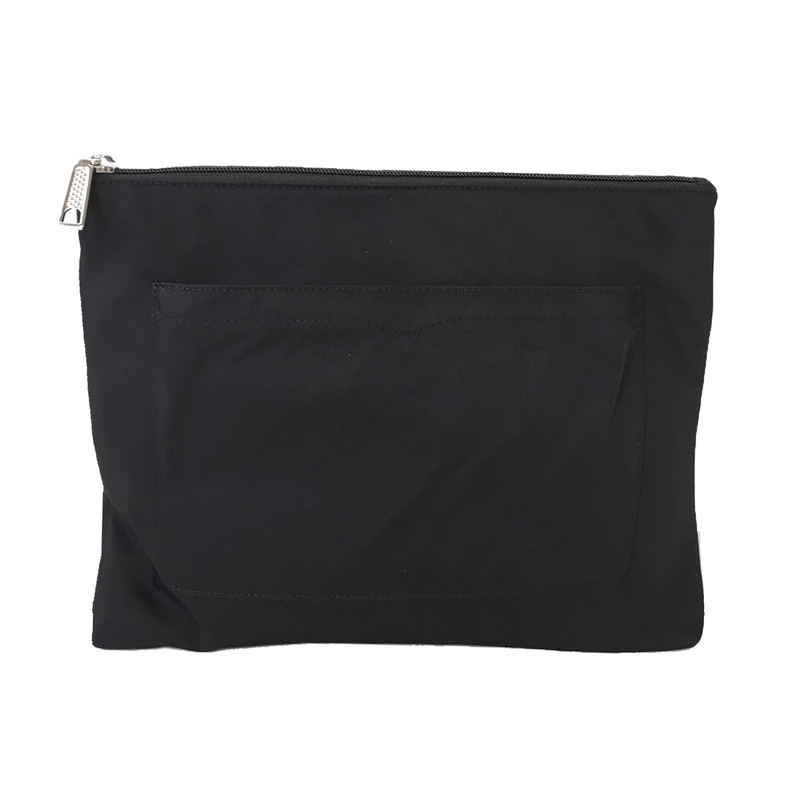 Includes clutch with front zip pocket, back slip pocket with changing pad and main zip compartment. 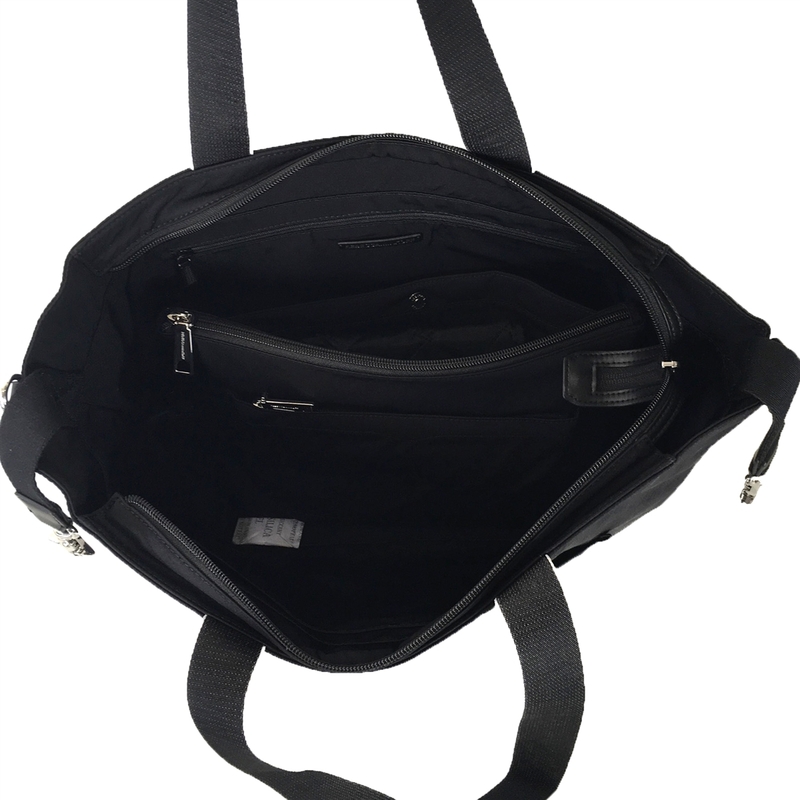 Tote: 12"H X 14-19"W X 5"D handle drop 11.5"